Critics' Choice Television Awards Are Today! Vote for Fringe, Anna Torv, and John Noble Now! We first mentioned the Critics' Choice Television Awards back on 6/10. They take place today at 4PM in New York City. Anna Torv will be onhand. Reportedly the event will be live streamed at the VH-1 link below. Right now Fringe is leading the "Best Drama Series" category, and Anna Torv ia leading the "Best Actress in a Drama Series" category, both by fairly wide margins. 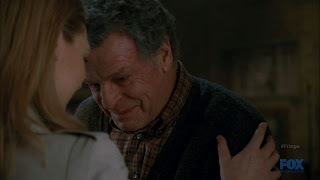 John Noble is running away with the vote for "Best Supportibng Actor in a Drama Series!" As of this writing, you can still vote here!Click here to vote for Fringe! Yeah! John has been brilliant from the first season. As for Anna, she did a wonderful job last season and fans really appreciated it... this is not an award but Fringe fans are very demanding!